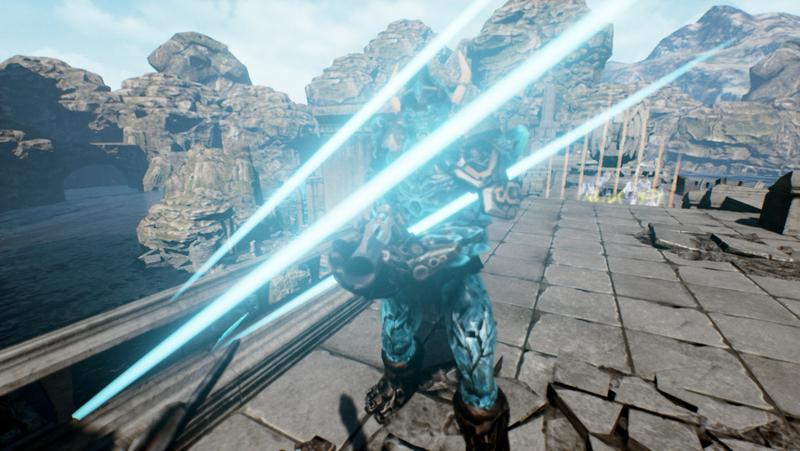 Sword Art Omni is a VR action sword fighting simulation game. 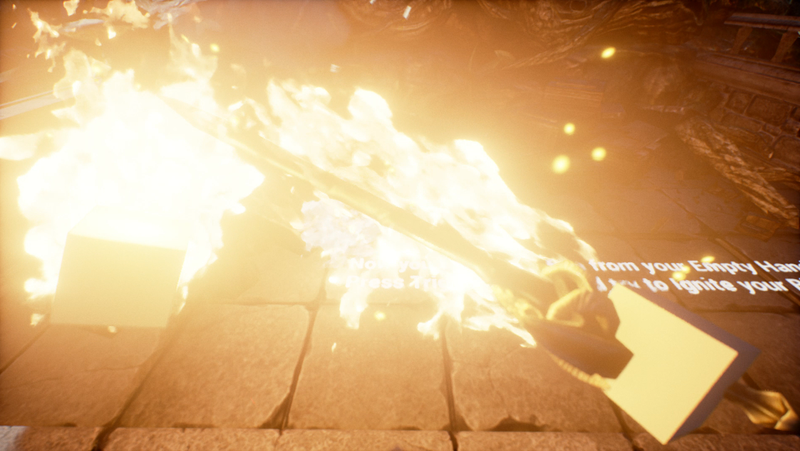 It's developed on Unreal Engine 4 and using a Razer Hydra controller to deliver a more intuitive way to control the player's avatar. It's now a working prototype and current still under development. This game can offer a unique gaming experience that can only be achieve by using VR devices. 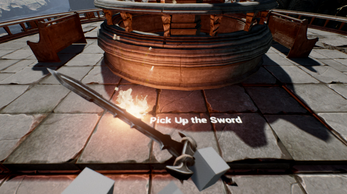 In the game, player can control his virtual hand just the same way as they did in the real life, and able to pick up an throw away weapons freely. To combat with enemy, the player should perform the exact movement as they're fighting using swords. 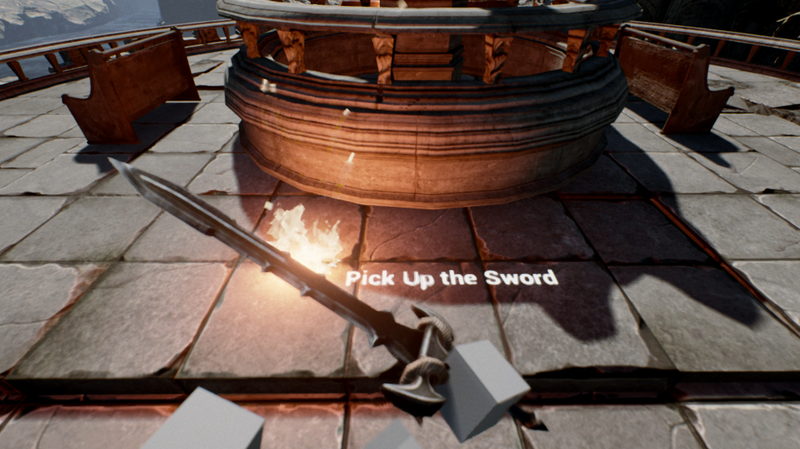 The power of the sword is directly connected to the speed of player's swing. 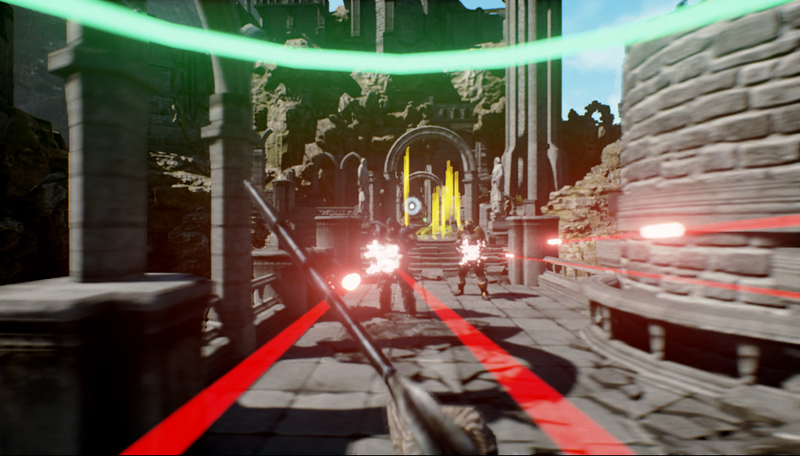 Unlike most of the action game where player attack by pressing buttons and can only perform several limited moves, in Sword Art Omni, the player is free to slash in any direction and perform whatever combination attack they can do in the real world. The only limitation is player's skill. In addition to the normal slash moves, player can also use his swords to deflect laser beams, enchant them with fire, or throw them to hit enemies from a distance. It's safe to say this game offers the world's best VR sword fighting game experience in the world. We're currently looking for more skilled developers to join our team. This game is a troll. You cant play the game in vr but only M+K and it gets on my nerves. Oh and BTW developer, Alt+F4 is to close it not change it! Will there ever be a Vive support? Can't wait to try it on my vive! However you must have a Vive to play the new version. Well, you can't dual wielding and slash freely in 3D world using only mouse and keyboard. Even if we made a keyboard and mouse version, it would lost most of the fun.